If you wish to enjoy a dedicated car hire service for a whole day in Jalandhar, just reach us online or visit our office and meet our representatives. Our exclusive services for full day have been designed to suit a number of local tour purposes including sightseeing, attending meetings, shopping, seminars, visiting hospitals, and a lot more. This can be tricky. However, our experienced professionals have made it really easy. The half day service is especially dedicated to those who can’t spare enough time in hand. The service has been demanded to help you enjoy a relaxed half day trip to Jalandhar. 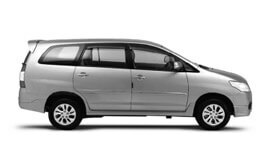 Some of the most popular services under this category include Airport Transfer in Jalandhar, Car rental service for Marriage, party and event, Corporate Cab Rental in Jalandhar, Railway Transfer, visiting hospitals and a lot more. In order to enjoy a comfortable outstation travel, simply rely on our special facilities provided under varied categories. The service is well suited for a number of travel categories such as excursions, weekend getaways, and family leisure trip outside the city limits. For excellent quality to and fro services, reach us. Our team will also take care of all your Jalandhar visit needs. Our roundtrip service is available for various destinations from Jalandhar. Our one way drop hire service will help you enjoy premium quality taxi service to your desired destinations starting from Jalandhar. Visiting more than one city at a given period of time can be a tricky affair with respect to stress, health, hassles, and finances. Our service category makes sure multiple city visits are free of hassles and inconvenience. With us, you can rest assured about having a unique travel experience throughout. We hold expertise in customizing special packages for our clients who wish to avail something unique and specially made for them. Our professionals will take into account your specific car rental and tour needs and budget while designing a package. We guarantee the best car rental services in Jalandhar at highly affordable prices. Jalandhar experiences hot and dry summers and wet and humid monsoons. The city sees four seasons; summer, winter, monsoon, and post monsoon. Jalandhar experiences dry weather accompanied with hot winds. The monsoon season starts from the end of June and extends till the middle of September. Humidity of air increases during the monsoon season. Post-monsoon season starts from the middle of September to the middle of November. The winter begins from November and extends till March. As per official census report for the year 2011, Jalandhar district has a population of 463,975 residents. Jalandhar is the largest developed city of Punjab. It is home to a number of hospitals. A good share of revenue comes from vehicle production as Jalandhar is one the largest producer of vehicles in India. It is also a hub of sports goods manufacture. Jalandhar city is a beautiful city in Punjab. The amazing tourist destinations located around Jalandhar enhances tourism prospects of the city. The Pushpa Gujral Science City situated on Jalandhar-Kapurthala road is one the largest science cities across the nation. Other important tourist attractions in the city include Moorish Mosque, Masoleums of Ustad and Shagird, Shaheed-E-Azam Sardar Bhagat Singh Museum, Serai Nurmahal, Panch Mandir, Gurudwara Ber Sahib, Handira Mausoleum, Kartarpur Gurudwara, and many more.